Wonderful detail (love it).....voted in 'macro and patterns' contest. Wonderful detail and composition. Superb capture! Cool shot and nice capture. Congrats! Wow - What a shot! I love the creativity in this photo. Awesome shot. I love this! Love it!! Curious, did you focus stack? Very entertaining and graphically pleasing photo!! Wow! So cool. Love this! awesome shot. did you watch him log before and after the shot or was it a quick moment? OMG what a great shot! My favourite today. The perfect one to evoke empathy in even less sensitive people. Places this insect, evolutionarily (if this word exists) further away from us - closer than the guy next door. This meanwhile respecting the insect's skills and desires. Excellent technically as well of course. Well done! love the composition and lighting.. This! Is just a magnificent peek-a-boo! Moment. Chapeau on your winnings! 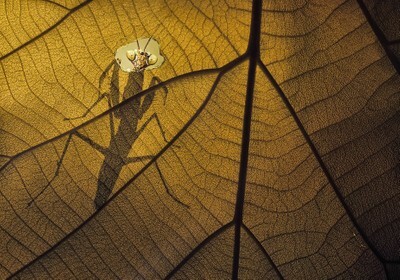 Best bug picture EVER!!! Thanks for sharing. This is such a great shot! I love it!!! This is sooooo freaking cool!